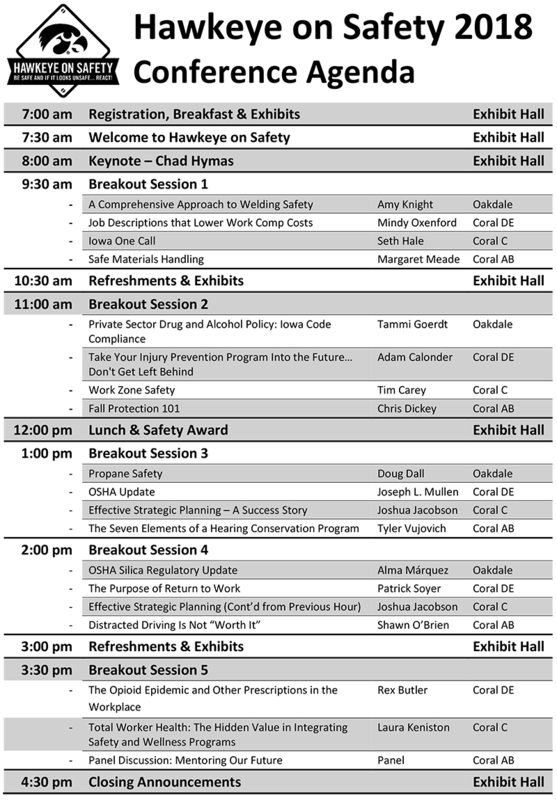 The following was the Hawkeye on Safety 2018 agenda. We will post a 2019 agenda next year. If you’re curious about our past programming, please see our 2017 agenda, 2016 brochure, 2015 brochure, and 2014 brochure.